If the parents win, students who failed the exam in grades three through eight won’t be held back or have to attend summer school. 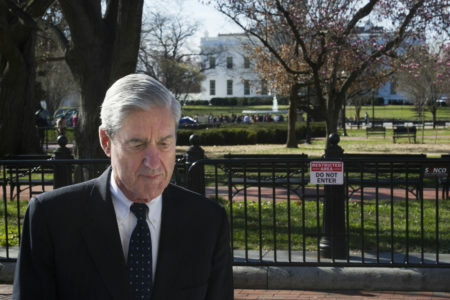 This article has been updated from an earlier verison. 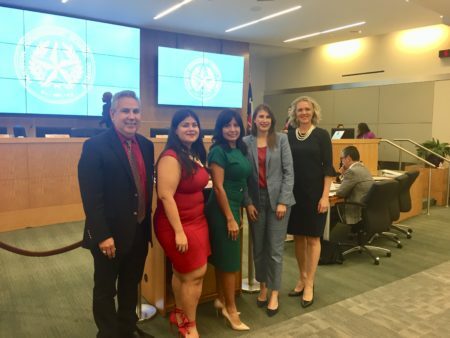 Parents from across Texas filed a lawsuit Monday against the state’s top education administrators, demanding them to throw out this year’s standardized test scores for some two million students. 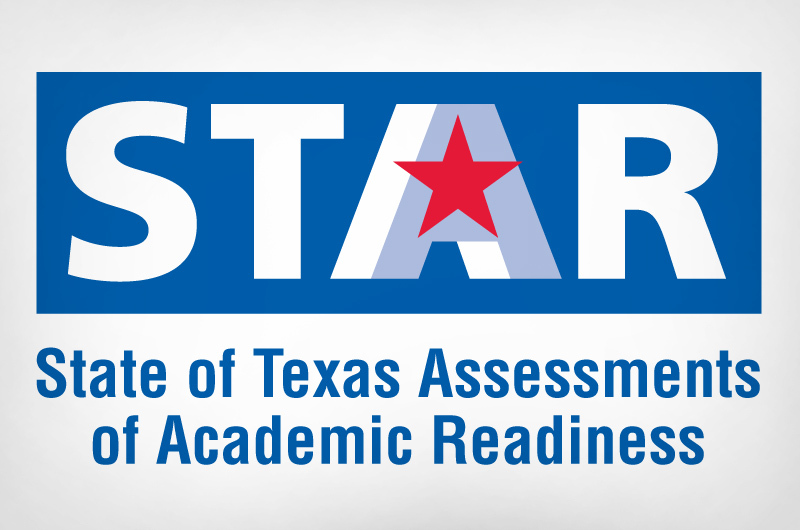 In the filing, the parents claim that the state standardized exams, known as the STAAR exams, were illegal this year because they were longer than allowed by state law. In 2015, the Texas Legislature passed a testing reform bill, called House Bill 743, that required the STAAR exams to be shortened to two hours for students in grades three through fifth and three hours for middle schoolers. The tests are currently designed to be completed in four hours. According to its website, the Texas Education Agency has opted to phase-in the new, shorter tests. So far, it’s changed the writing tests for grades four and seven, but not the rest. 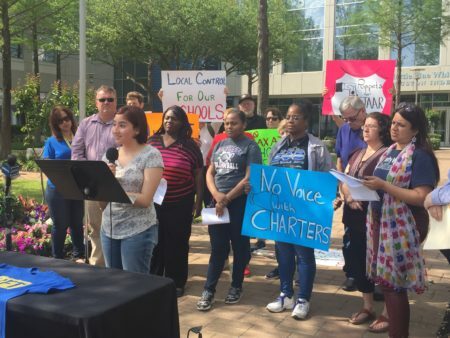 “Parents and teachers and concerned citizens around the state are looking for ways roll back the TEA’s high stakes,” said Ben Becker, a Houston parent who leads the statewide Committee to Stop STAAR. It’s raised raised more than $20,000 for the lawsuit. “When we change our laws, we expect them to be followed. And there’s no public official or administrator who’s above that law,” Becker added. The TEA declined to comment on the case, saying it hadn’t receiving the filing yet. If the parents win, the test scores won’t be used to rate elementary or middle schools, and students who failed the exam in grades three through eight won’t be held back or have to attend summer school. The parent plaintiffs include Houston-area mom Claudia De Leon, who’s had her son boycott the state standardized testing. 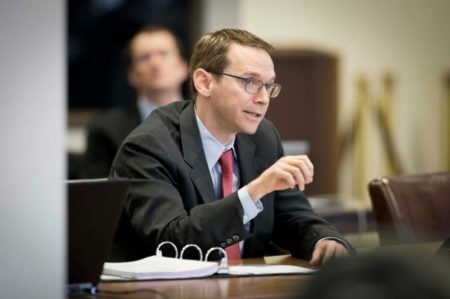 Earlier this month, dozens of superintendents wrote Education Commissioner Mike Morath and said that the exams can’t be trusted because of computer glitches, missing results and other problems. This is the first year the New Jersey-based Education Testing Service designed and administered the Texas exams, after the state cut ties with longtime testing vendor Pearson.